This is a partial preview. Full document is 125 pages. View large preview. The mindset is the driver behind performance. It is our mindset that determines how we think, our actions and often what results we obtain in life. 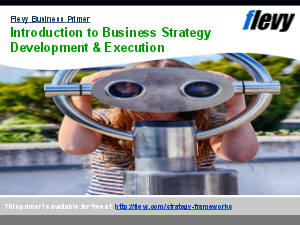 This guide / training course is about the combination of some 30 distinguished mindsets needed for achieving high levels of breakthrough strategies. Success is about a combination of things; it is a formula with many parameters. As such one needs this diversity too in the mindsets to get a WOW breakthrough strategy. Each mindset is key to achievement of higher levels in strategy formulation and strategic outcome. The metaphor approach in this guide, and which uses photos, makes it easy to memorize and recall the specific mindset and to embrace it and to practice it. This is a new approach of the consultant and it is based on his long experience. This method of firing mindsets has been tested extensively in his consulting and training activities.